Here’s her participation trophy – and that’s about all it means. 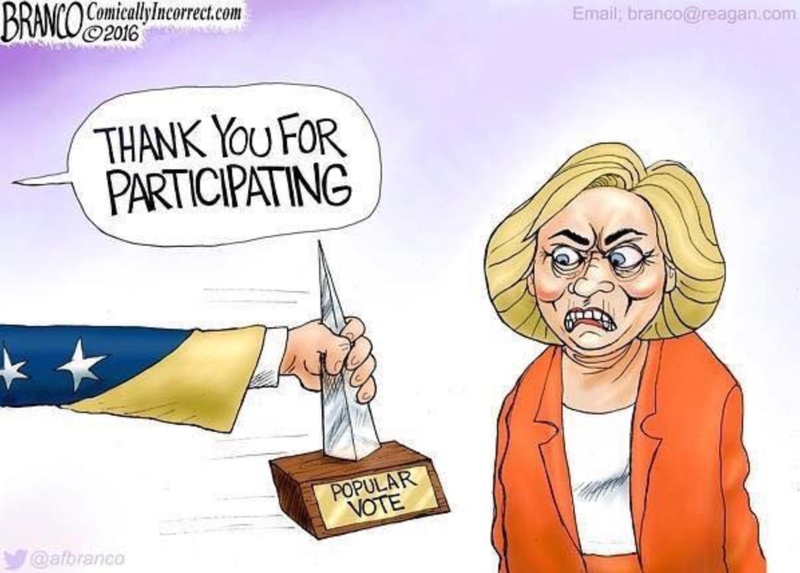 Sure, that what she got (pretty much the margin came from Californiastan) but it never has and continues to never matter thanks to the Founders glorious mechanism called the Electoral College whose purpose was EXACTLY to not let the larger States determine the Presidential race over the smaller ones. Consider it one of the anti-direct-democracy tools that has performed every time it has been needed. So, take your self-esteem trophy and console yourselves with the notion that as she came in second, you’re still the #1 losers.